ECCMID 2016, the annual meeting of the European Society of Clinical Microbiology and Infectious Diseases (ESCMID), held in Amsterdam (April 9-12), set high goals for the 2016 meeting. For more than 30 years, ESCMID has been an influential component in the professional lives of microbiologists and infectious disease specialists and now reaches more than 33,000 individual and affiliated members around the world. The society reaches its goals through engaging its members in a number of activities, including its annual conference. There the association relies on the participant interaction to solve new clinical cases, discuss prevention methods and techniques, and set new standards in battling infectious diseases. 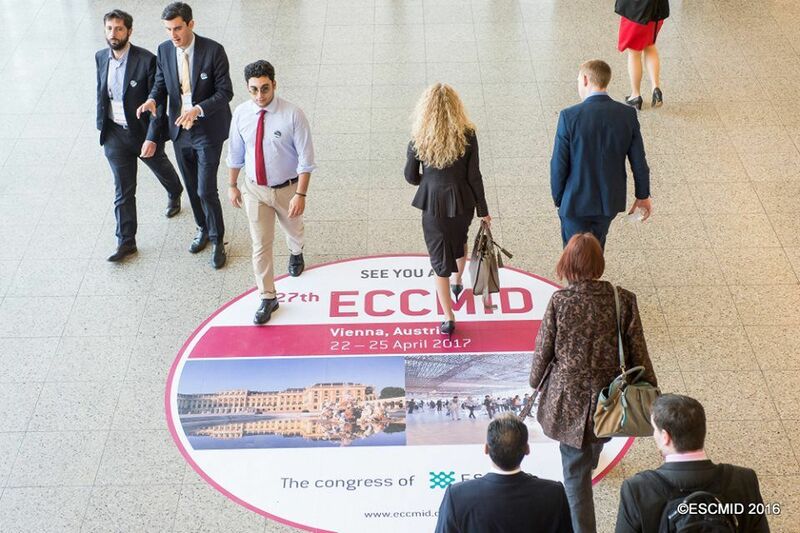 Thus, for ECCMID 2016, the association was looking for greater numbers, better participant interaction while also enriching, in new ways, the delegates’ experience. The answer to that laid in the strategic use of technological and communication innovations. Kenes Marketing has managed the ECCMID marketing and social media activity for the past 3 editions of the event, starting in 2014. With the measurable results achieved each year, the targets for 2016 were to surpass numbers of followers and fans of each channel, effectively increase the global exposure for the ECCMID brand and congress, strategically build and grow the online community, while achieving more true engagement with the ESCMID audience. With a growing and demanding audience very familiar with ECCMID, being the leading event in infectious diseases, Kenes Marketing had the challenge to engage the audience prior to the congress, and make them an active part of the co-creation of the content, as well as inspire more people to register and attend the event. The challenge of overcoming fake websites and poachers had to be addressed by Kenes Marketing, putting all efforts towards making sure that the right messages reach the congress community and ensure that they will consult the real ECCMID channels. For that Kenes engaged actively the ESCMID community via social media. The ECCMID Annual Meeting is a leading event in its field. In order to keep growing its audience and bringing closer to them the ever-evolving content of the event, the Kenes Marketing team created very visual and action-oriented outreach campaigns, improved the website design and usability and focused on boosting the social media interaction, as a primary channel for more and more medical doctors. The solid Marketing Plan included online advertisement strategy, with PPC and remarketing, direct marketing featuring mailshots and postal campaigns, various promotion actions, divided by regions and target markets. The Social Media campaign was one of the key engagement elements of the Marketing Plan. Kenes initiated, managed, and administered the ECCMID Ambassador Programme, whereby ‘Brand Influencers’ were utilized to increase the event’s online social media exposure and made the ECCMID brand a top-of-mind solution to anyone working in the field of infectious diseases. Engaging the community was done with a number of creative videos and posts related to a mix of fun and educational content. Programme Highlights – (http://2016.eccmid.org/scientific_programme/programme_highlights/) was one example how the Event Host engaged the audience through interactive interviews with key speakers from the programme. In order to maximise the value of the event and increase the brand engagement, different technological solutions were implemented at this year’s ECCMID meeting. New technology and software were used by the Kenes Social Media team in order to identified ECCMID’s online influencers and invited them to be Congress Ambassadors. By empowering them and promoting them before and during the event, they helped increased the engagement with the event hashtag. Marketo, the digital marketing and marketing automation software, was integrated with the direct marketing campaigns and mailshots, delivering over 15 mailshots to a database of over 76,000 contacts, achieving an impressive open rate at each campaign. Photo Contest – #IamECCMID photo contest for further engagement with the ESCMID community. Social Networking Training – provided participants with the tools to widen their professional network and increase interactions on the ESCMID network. Onsite, the Kenes Social Media team had actively monitored the online space for any questions, comments, replying to any such posts and taking care of all requests coming in. An issue onsite occurred when Twitter blocked the event handle for a few hours, due to the high activity by both the account and event hashtag. Our Social Media team reacted quickly verifying the trending hashtag and releasing the account. The 26th European Congress of Clinical Microbiology and Infectious Diseases came to a close with record-breaking numbers. 11,640 people from 123 countries attended. Over 200 sessions, including 11 keynote lectures, over 100 symposia and oral sessions, 20 educational workshops, and 20 Meet the Expert sessions, as well as 26 industry-organised symposia and 157 exhibitors, and over 3,000 abstracts presented. The client and delegate feedback was very positive, enjoying a carefree event where the focus was on networking and advancing the prevention of infectious diseases. The results of the Marketing Campaign were astounding. The marketing plan brought website visits: traffic totaled 303,774 visits with 146,941 unique visits. The website received 30% more visitors than the previous year. Each year there was a dramatic increase in Twitter impressions and in online mentions in blogs, websites, and other online platforms, where 2016 surpassed all expectations, starting with social media. The total growth across all channels was 153% from last year, with a visible growth on a daily basis. This further resulted in real conversion with 16,4% more participants onsite, a total of 11,640 delegates. During March-April 2015 Facebook removed deactivated and unused accounts. Although the number of Likes decreased, this is a great move by Facebook to help produce more true engagement. In January 2016 Kenes Social Media team merged all social media accounts, closing ECCMID and using ESCMID only. All Facebook fans were transferred, and while we are still moving Twitter fans and LinkedIn members, the results achieved were more than outstanding. The amount of Clicks further tripled from the LinkedIn pay per click campaigns, which usually yields higher new users to the website and the PPC clicks from Facebook more than doubled. For ECCMID 2016, one of the instrumental decisions laid in the selection of the meeting venue. As it has become a requirement of ESCMID, the venue has to have strong sustainability policies and proven practiced in place. RAI Amsterdam has been active on many fronts in the field of sustainability over the past years, with a firm policy, proven results and best performances, all taking into consideration GRI (Global Reporting Initiative) guidelines. Paperless organization and planning of the meeting. The destination, together with the venue actively working on sorting recyclables, which added towards the lower footprint of ECCMID 2016.